Support Shared Security – Projects for consideration in this category could/should support and advance cooperation between the United States and Turkey on defeating ISIS/DAESH and other extremist groups; projects in Turkey that support advancing stability in Syria; all facets of counterterrorism efforts; and transnational crime. Also, projects that support and advance cooperation between the United States and Turkey in NATO and other multilateral security organizations. Strengthen Economic Prosperity: Promoting Innovation and Fostering Entrepreneurship – Depending on the level of entrepreneurial opportunity and ability in the targeted region(s) for the activity, proposals here could include trainings to introduce the concept and principles of entrepreneurship, promote networking and mentorship opportunities, provide small-and-medium enterprise (SME) development planning, teach marketing and outreach techniques, foster research and development/innovation, etc. Reinforce Democratic Values: Media – Proposals should support journalists and/or citizen journalists through trainings or activities to bolster media literacy, investigative journalism, social media/internet publishing, research and fact checking, documentary filmmaking, visual or other storytelling, etc. Reinforce Democratic Values: Freedom of Expression and Public Discourse – Proposals should focus on activities to encourage cultural and arts exchanges to promote public discourse and freedom of opinion, such as through innovative forms of creative expression, reaching and teaching underserved audiences (e.g., ethnic or religious minorities, LGBTI, youth or women), encouraging respect of cultural and social diversity, pluralism and equity in cultural life and policy. Foster Turkish and U.S. Ties – Proposals for programs developing American Studies, English language teaching/learning, STE(A)M education among Turkish youth and encourage study in the United States will be considered under this category. Due to the heavy workload, we are not able to accept telephone inquiries. If you have any questions about the grant application process, please submit your questions in English to GrantsTurkey@state.gov before17:00 on April 12, 2019. All applications must be submitted electronically to GrantsTurkey@state.gov by the deadline of April 30, 2019 17:00 Turkey time. Applications received after the deadline will not be processed. Please be aware that the Embassy’s e-mail system has a 25 MB limitation. Any e-mail which exceeds 25 MB may not be delivered. Should your application package exceed 25 MB, consider sending your application package via several smaller e-mails. We cannot download files from cloud transfer platforms. Therefore, applications sent via cloud transfer systems will not be processed. We also cannot process win.rar and win.zip attachments. All applicants will receive a manually sent confirmation e-mail. Please check your spam/junk mailbox and make sure you have received the confirmation e-mail. If you do not receive the confirmation e-mail from GrantsTurkey@state.gov within 3 days, this means we did not receive your application. Applicants are only allowed to submit one proposal per organization/individual. If more than one proposal is submitted from an organization/individual, all proposals from that institution/individual will be considered ineligible for funding. Projects selected to receive funding will receive payments in two installments through the bank account provided by the applicant: 80% of the approved funding will be transferred after the grant is signed. The remaining amount will be transferred after the project is successfully finalized and the final report is reviewed. The approximate processing period for bank transfers is 30 days. Applicants who do not provide bank account information will be considered ineligible. Shortlisted applicants may be asked to provide additional documentation. We will inform all applicants about the results of this competition by email by September 2019. 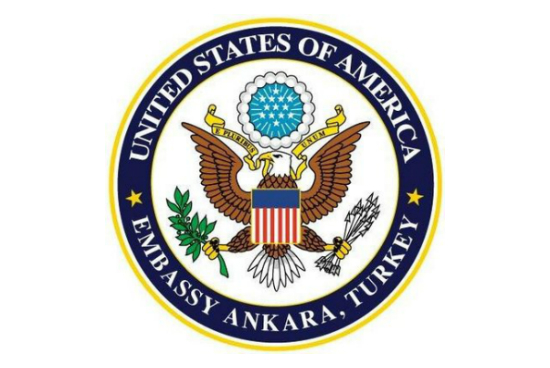 Organizations or individuals with an existing, open grant with the U.S. Embassy to Turkey are ineligible to apply for additional grants until the existing grant is closed. The total amount requested per grant cannot exceed $75,000. Minimum amount for a grant is $5,000. Staffing costs should not exceed 25% of the total budget requested from the U.S. Embassy. The budget must be submitted in U.S. dollars. Applications must be submitted in English; applications submitted in Turkish will not be accepted. For an application to be considered eligible upon technical review, all mandatory documents must be submitted. Any documents missing would cause the application to be considered ineligible and will not be subject to further evaluation. 1.1 Form SF424 (Application for Federal Assistance for organizations) if applying as an organization or form SF-424-I (Application for Federal Assistance for individuals) if applying as an individual. Budget Justification Narrative: There is no specific form for this; any format is acceptable. Explain how and why a budget line item helps to meet the project deliverables. In other words, describe each of the budget expenses as to how the costs were estimated and justify the need for the cost. Include information about your project’s scalability. For example, can your budget increase or decrease based on such factors as the number of participants or geographic spread? Note that increased budget flexibility can increase a proposal’s competitiveness. Grant Request Form: Please use the Grant Request form provided under the “Docs & Forms for Applicants” section of the Embassy’s Grant Opportunities webpagehttps://tr.usembassy.gov/education-culture/grant-opportunities/ The proposal should contain sufficient information that anyone not familiar with it would understand exactly what the applicant wants to achieve. Please do not exceed the character limits.Make sure that your application package consists of at least 5 attachments (mentioned above). If any of the documents mentioned above are missing, the submitted application will be considered ineligible regardless of the amount of funding requested. All applications must be submitted electronically to GrantsTurkey@state.gov by the deadline of December 17, 2018 at 10:00 (Turkey time). Applications sent via cloud transfer systems and applications received after the deadline (December 17, 2018 10:00 AM Turkey time) will not be processed. Projects should have a public teaching/public dialogue or educational component. Applications with an American component are considered stronger, as are projects focused on underserved communities (youth, women, LGBTI, etc.) and projects located outside Turkey’s metropolitan areas. Applications that have in kind or cost sharing support from other organizations are also considered stronger. 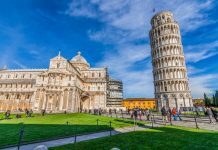 Preference will be given to individuals and organizations with a proven track record of executing superior cultural and NGO events and projects. Projects that have an established working Memorandum of Understanding among all partners will also be considered stronger. Project implementation timeline should not start before mid- September 2019. Activities that are not typically funded include, but are not limited to: paying to complete activities begun with other funds; political party activities; charitable activities; construction projects; fund-raising campaigns; commercial projects; scholarships to support educational opportunities or study and research for individuals; or projects aimed only at primary institutional development of the organization. Lump sum overhead costs, alcoholic beverages, and vague budget line items, such as “Miscellaneous Items” or “Unforeseen Expenses” will not be funded. Proposals with budgets in large part requesting funding for travel to the United States will be viewed unfavorably. * The project idea aligns well one theme, and preferably with at least two themes. * The project idea is well developed, with detail about how the project activities will be carried out. Budget (20p)* Realistic: The budget is realistic, accounting for all necessary expenses to achieve proposed activities. * Reasonable: Costs are reasonable in relation to the proposed activities and anticipated results. * Scalable: The budget can be decreased if necessary, based on such factors as participant numbers, geographic reach etc. * Impact: Goals and objectives are clearly stated and the project approach is likely to provide maximum impact in achieving the proposed results. The project shows strong potential to reach a new or large target audience. * Sustainability: Project activities will continue to have positive impact after the end of the project. * Applicant demonstrates it is able to measure project success against key indicators and provides milestones to indicate progress toward goals outlined in the proposal. * The project includes output and outcome indicators and the proposed evaluation provides tangible products. * The organization has expertise in its stated field and has the internal controls in place to manage federal funds. This includes a financial management system and a bank account.